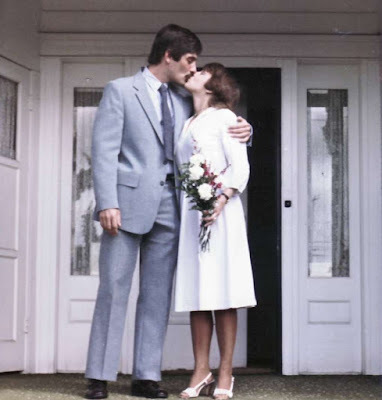 I have been married for 33 years. This is the story of how I met the love of my life, and my life with her. JoAnn was born in 1953 in Rockford, IL to Joe and Eleanor Fisher. She was the second of five daughters. She graduated from Virginia Polytechnic with degrees in English and History. She worked for the Carter Administration answering correspondence and voted for Nixon over George McGovern in the 1972 election -- a vote I will never let her forget. 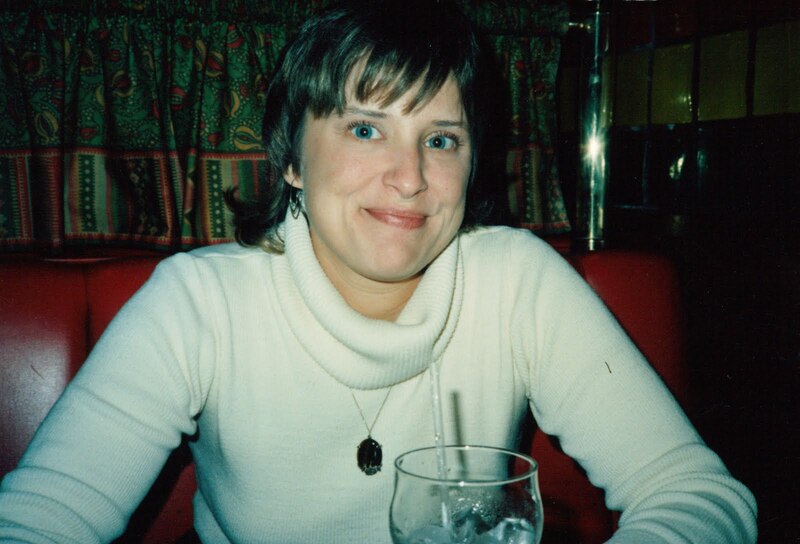 When I first met her, she was working as an editor for Time-Life Books in Alexandria, VA. I grew up about 15 miles away in Maryland and couldn't wait to get out of there. After my discharge from the Army, I went to work for the Naval Oceanographic Office traveling on Navy oceanographic ships as an electronics technician. My home base at that time was in Silver Spring, MD and it was during this period that I was first introduced to Beth and her circle of friends in Virginia -- and that included JoAnn. The first time I saw San Diego was aboard one of those oceanographic ships and I really fell in love with it, so I moved there in 1975. It was a struggle at first but eventually I got a job working for Diebold, an alarm company that serviced banks. 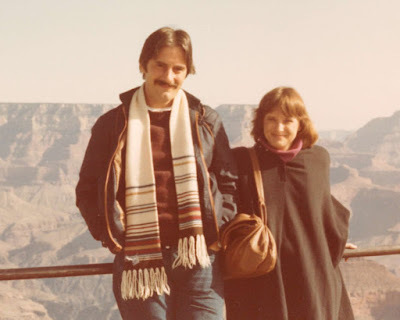 In 1978, JoAnn was planning a trip to California and Beth suggested that she consider a side trip to San Diego and to call me to see if I'd show her around. JoAnn called while in San Francisco and asked me if there was anything worth traveling to San Diego to see. I said, “Well, I’m here.” And with that, JoAnn was intrigued. I picked her up at the airport and was immediately smitten with her beauty, her big blue eyes and her dazzling smile. She was very smart, vivacious, sweet, and a little mischievous which made her instantly lovable. That evening we went to Mom’s Saloon in Pacific Beach. I almost got in a fight with an ex-roommate that I ran into there because he had previously cheated me out of some money. Fortunately, cooler heads prevailed. 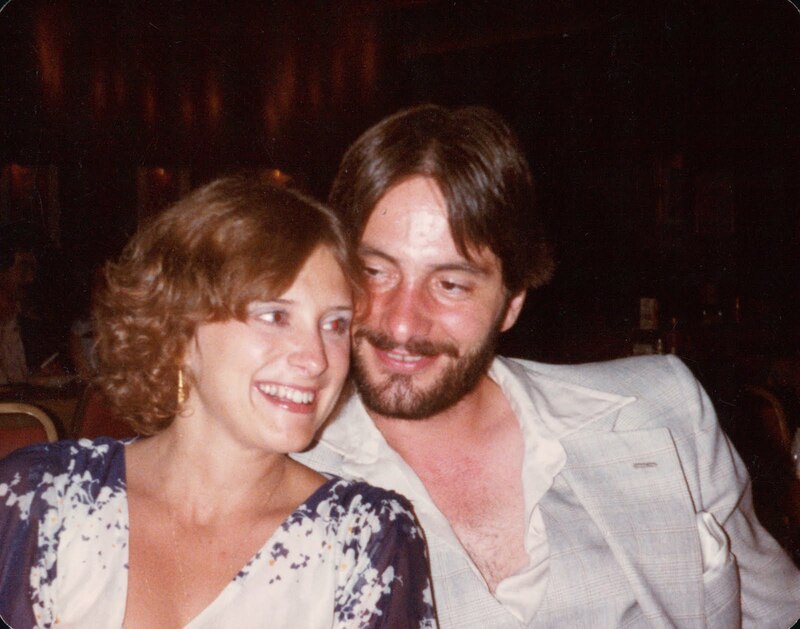 Later that evening, JoAnn propositioned me on the dance floor, “I haven’t been with anyone in a long time, but tonight I want to be with you.” We were getting along very well indeed, but that certainly caught me by surprise. The next day we drove to Ensenada where we ate lobster and had a little too much to drink. While driving back, we went through Tijuana, and I drove the wrong way down a one-way street. We only realized it was one way after a guy ran out in the street waving his arms at us. Somehow we made it back to San Diego without getting pulled over. That Sunday, we went to a Chargers football game after "tailgating" with friends in the parking lot. A couple of days later, it was time for JoAnn to go home. I hated to see her go, but after her trip we kept in regular contact via mail and phone. During a regular visit back East for Christmas, my mother expected me to stay with her, as I had always done, but I chose to stay with JoAnn instead. My mother didn’t take it very well, and actually wondered that JoAnn might be a gold digger, which is particularly ironic, given how things ultimately worked out. In 1979, JoAnn left her job, her friends, her family, and a red 1968 Mustang in Virginia and moved to San Diego to live with me. That took a lot of courage, not to mention -- love for me. Our first home together was a 2 bedroom duplex that I had been renting from an FBI agent. I didn't know he was an FBI agent or I wouldn't ever have rented the place, but it turned out that he was a good landlord. An interesting side note is that he became the first gay FBI agent to be identified as such in the history of the FBI -- but that's only if you don't count J Edgar Hoover and his "wife" Clyde Tolson. Our neighbors on the other side of the duplex became a problem shortly after JoAnn moved in. I had a good relationship with them before JoAnn arrived, but it turned out that that was only because I was almost never there. 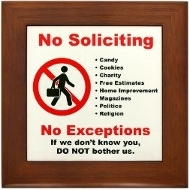 The neighbors were soon complaining about us "slamming the front door" and not oiling our closet doors because they could hear them squeak, and my favorite question from them; "Do you know how many times you turn on that light switch that's on the common wall?" Wow. Things slowly escalated to the point where the asshat next door would scream obscenities at us through his window when he would see us out front of the house. It eventually got so bad that he was threatening to have me killed. That ended after I recorded him making one of his threats and played back the tape for him. I had been going to Jr College full time and working full time as an electronics technician before JoAnn moved in. After I got my Associate's degree in Business Admin, JoAnn offered to support me while I got a Bachelor's degree from UCSD in communications, with an emphasis on video production. I was able to get my degree in only 18 months. I ASSumed that with my experience as an electronics technician and the degree from UCSD, I'd have no problem getting a job working for a TV station or video production house. Well, it didn't work out that way because there were a tiny number of actual jobs and way too many recent graduates chasing after those jobs. JoAnn supported me through long periods of unemployment, while I was practically begging for any job doing anything and still being turned down. I was actually less employable after getting my degree than before, and that was very disheartening. Eventually I got a job at an audio/visual staging company, where I was moving heavy equipment around, setting up for conferences in hotels. The company's culture was such that no one ever asked for help in lifting heavy things. It was like an admission of weakness. One day I was lifting a large TV monitor by myself when I lost my grip momentarily. The monitor was about to hit the floor when I saved it from damage, but I had also damaged the tendons in my shoulder in doing so. My shoulder wouldn't stop hurting after that and I ended up on Workman's Comp. That experience turned into an unrelenting nightmare and put me into a deep depression. Fortunately, JoAnn was always there for me through the emotional roller coaster of dealing with the insurance company, medical treatments, job retraining, etc. While on disability I decided to start a desktop publishing business. It was brand new and I was already trying to learn all I could about computers. 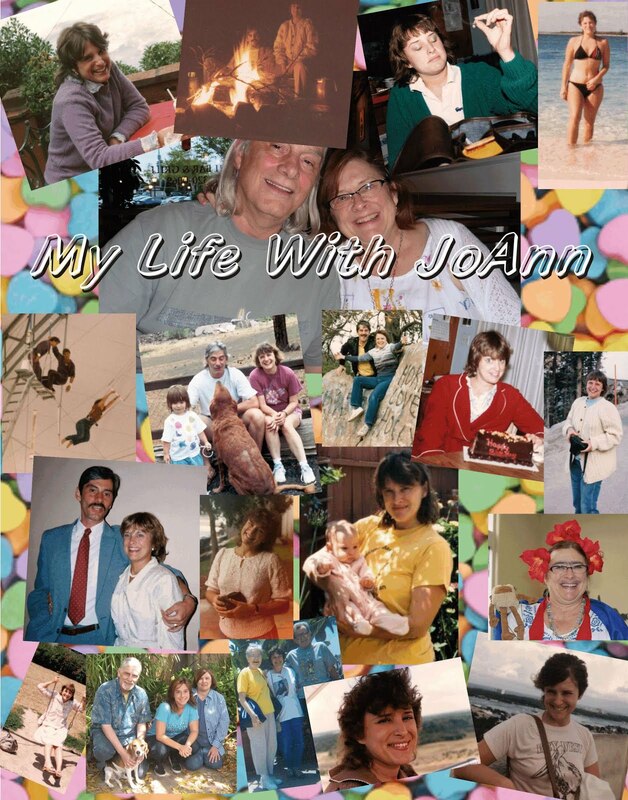 I was able to make use of JoAnn's extensive contacts in the publishing business to generate business for myself, and JoAnn supported me through the ups and downs of self-employment. 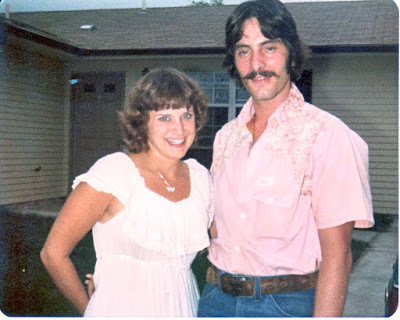 In 1984, we wanted to buy a house on a VA loan but the VA wouldn’t count both incomes unless we were married. JoAnn wanted a traditional wedding, but the planning and seeing to everyone's expectations got completely out of hand. Instead, we got married on St Patrick’s Day at the “Little Chapel” on 5th Avenue. JoAnn had a friend visiting and while we were on the way home after dropping him off at the airport I suggested we forget all the planning for now and just get married so we could buy that house. She agreed to it only if we would also not tell anyone about it, so that we could have a traditional marriage ceremony later. For a variety of reasons, that never happened and after a while it seemed redundant anyway. In 1991, JoAnn got laid-off and then got pregnant. She had been pregnant before and had 2 miscarriages. This time it took and that may have been because JoAnn was living a relatively stress-free life at the time, doing freelance work as an editor. My desktop publishing business was in a slump, and I was working a temporary job as a phone support tech for a software company. Because we didn’t have health insurance, JoAnn called around to various pregnancy counseling operations asking for help with expenses. None offered any help beyond counseling as to why she should keep the baby. 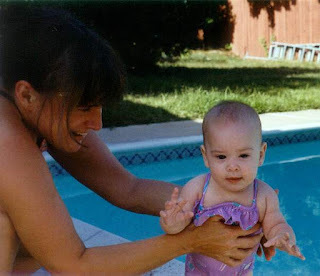 Eventually we were able to arrange a pre-payment plan with the hospital and Kelly was born in February 1992 via a c-section. 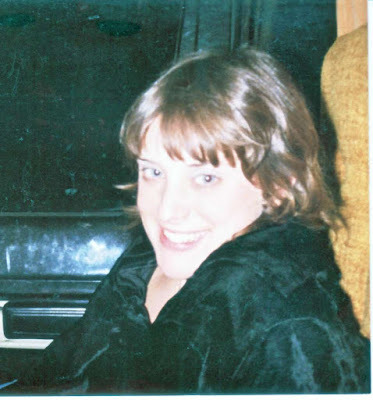 Six months later, JoAnn was offered a great job in publishing by someone who had employed her previously and wanted her to come to their new company. It was a fantastic opportunity but we still had a little baby at home, so we decided that JoAnn would take the job and I would stay home with Kelly while also continuing my efforts to earn decent money via self-employment. I decided to become a network engineer and studied on my own to pass all the tests required for certification. I then solicited small businesses -- mostly printing companies -- because I had experience with the same software they were using for creating graphics and page layouts. JoAnn paid for my training materials, the equipment I needed, and supported me while I got my business going. And once again, I tapped her business contacts whenever possible. When JoAnn started working on the "Uncle John's Bathroom Readers" series, she told me that they were paying $100 a finished page to freelance writers for anything that was subsequently published. I did so well at it that some people within JoAnn's company noticed how much money I was making and wondered why. After that, I did not report to JoAnn and none of my work was ever approved or edited by her. In spite of the extra layers of supervision to prevent the appearance of "nepotism" everything I ever turned in was published. That came to an abrupt end when one of JoAnn's employees went after me because JoAnn had disciplined her. After a little whining from her about how she was uncomfortable editing my work, I was unceremoniously dumped by the same bosses who had previously valued my contributions. I had been studying how to be a webmaster and already had a couple of web sites, so I focused my efforts on making money via the internet. As always, my self-employment income has had it's ups and downs and JoAnn has put up with it for many years, mostly without complaint. 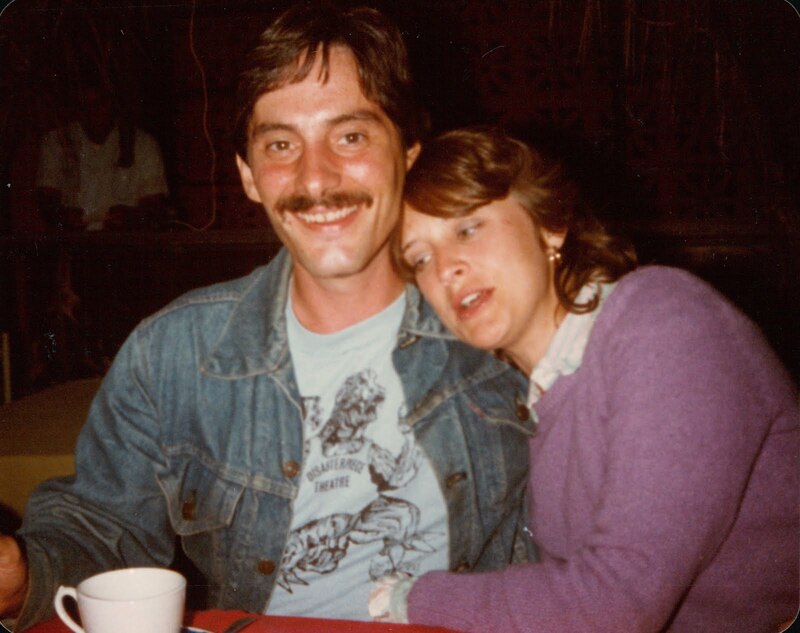 No story about my life with JoAnn would be complete without noting the many times she has bailed me out or otherwise put up with dumb things I've done; like getting a felony conviction for growing pot in the back yard, and the time I got sued by Time-Warner for copyright infringement. I could go on...oh yes, there is soooo much more. But you get the idea. Meanwhile, JoAnn has been a saint. And JoAnn has been a great success in her career. She began as an editor and rose to the top of her profession to become an editorial director with the biggest book distributor in the country. She has published many successful books and also wrote quite a few books. If you search her name on Amazon, you can see all of the books she has written. JoAnn has been a great mother to Kelly and wonderful wife to me. We've had some rough spots over the years, but we never intentionally did anything hurtful to each other. It's that concern for each others feelings, born out of a deep love and mutual respect that has seen us through all the difficult times we've faced. One of my favorite things about JoAnn is her childlike appreciation of Christmas and Disneyland. Every year when Christmas comes around she gets all excited and loves doing the decorations. At Disneyland the delight in her eyes is like a little girl watching the "It's a Small World" automatons for the first time. Now that we are growing old together we are dealing with some of life's changes and challenges, but ... we'll always have *Paris...er, each other. 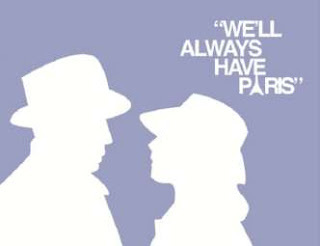 * Rick: "We'll always have Paris. We didn't have, we, we lost it until you came to Casablanca. We got it back last night." Unlike Rick and Ilsa, we have never lost it and we never will. "Here's looking at you, kid"
Copyright © Ken Padgett ----------------------------------------------------------------->. Awesome Inc. theme. Powered by Blogger.